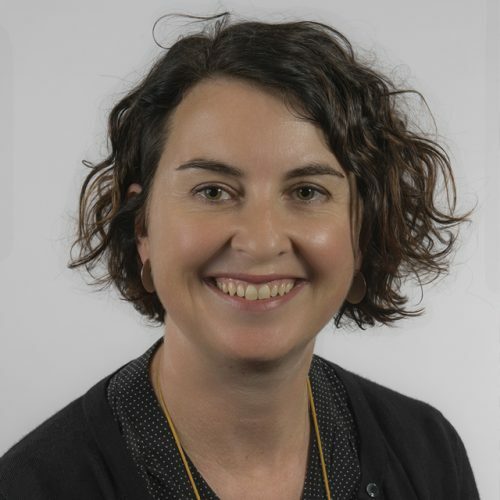 Susie Moloney is a Senior Research Fellow within the Centre for Urban Research and Lecturer in the Sustainability and Urban Planning Program in the School of Global, Urban and Social Studies. Her research is focused on urban sustainability and the interconnections between the social, technical and governance changes required to improve our urban environments and social practices. Susie completed her PhD in urban planning at the University of Melbourne in 2002. She has worked in both the public and private sectors as an urban planning consultant, including co-authoring the technical report on Activity Centre planning for Melbourne 2030. She worked for the Commissioner for Environmental Sustainability as Project Manager of Urban Research contributing to the first Victorian State of Environment Report released in 2008. Susie was a Post-doctoral Research Fellow at the Centre for Design, RMIT on the ARC Linkage project ’Carbon Neutral Communities: Making the Transition’ (2007–2010) which focused on the role of local governments and community in transition. Susie has since worked on a number of research projects with state and local governments and community organisations on urban planning and climate change related issues. She is a co-investigator in the International Network on Urban Low Carbon Transitions (http://community.dur.ac.uk/incut/). She is a co-author of Planning Melbourne: Towards a Sustainable Future (CSIRO 2016). She lectures in RMIT’s Sustainability and Urban Planning program on courses including Strategies for Sustainability, Strategic Urban Planning and Urban Policy Research. Urban planning, Urban policy and governance, Urban sustainability, Climate change policy and practice, Social practice change, Community engagement. Research on the governance of selected wicked problems in Melbourne, Bristol and Mannar (Sri Lanka) aim to flesh out a workable understanding of emergent, inclusive and multi-scale governance. This Think Tank established a dialogue between local and state government, academic experts and the housing sector. RMIT’s Beyond Behaviour Change group assisted Kildonan Uniting Care in developing a social practices approach to project design and evaluation.